Guerrant McCurdy Scarce, (known as Mac) was born on April 8th 1949 in Danville, Virginia. The six foot three left hander first attended Manatee Community College then moved on to Florida State University at Tallahassee. 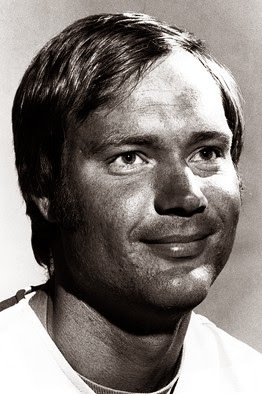 There he collected thirty plus saves over two seasons, including a record (at the time) 18 saves in 1970. Scarce also helped his FSU team get to the College World Series. He was originally rafted by the 1969 Cincinnati Reds (26th round) but did not sign. 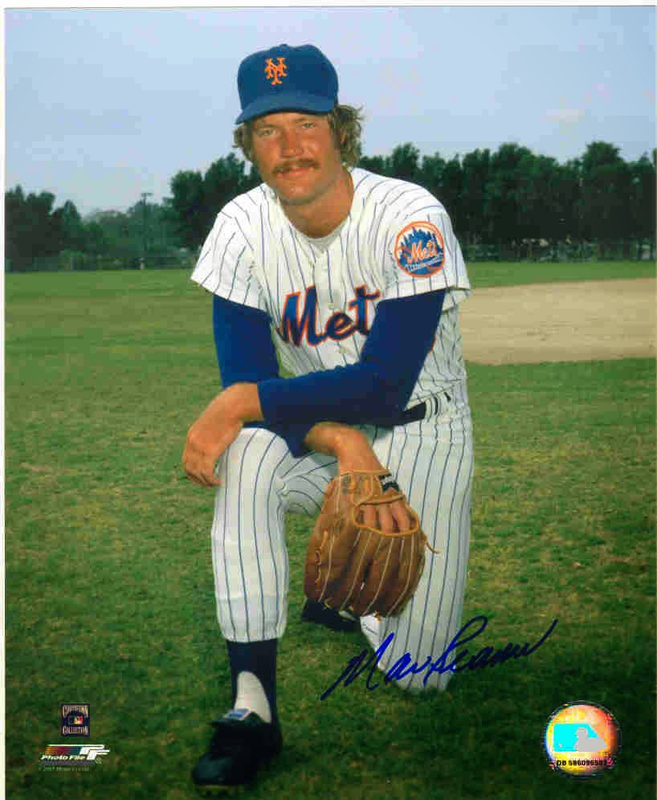 He was then inked to a deal by the Philadelphia Phillies as an eighth round pick in 1971. 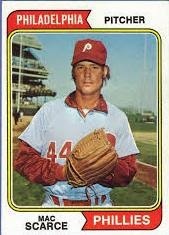 He quickly moved up through the ranks while poor Phillies teams of the early seventies needed pitching. In 1972 he pitched briefly at AAA Eugene & got called up to the Phils, making his debut on July 10th, in a tied game with the Los Angeles Dodgers. After allowing 11th inning hits to Willie Davis & Manny Mota he was lifted, but reliever Bucky Brandon gave up a sac fly to Wes Parker & base hit to Bill Buckner scoring the winning runs. Scarce took the loss. He would go on to appear in 31 games the rest of the was going 1-2 with a team leading four saves. The '72 Phillies lost 97 games, finishing last. In 1973 Scarce led the team in appearances (52) & saves (12). while posting a 2.42 ERA. He struck out 57 batters but walked 47 in 70 innings. In 1974 he continued to be a work horse, making 58 appearances, saving five games (second on the club to Eddie Watt's six). Scarce went to 3-8 with a 4.99 ERA. The Mets had disappointed finishing 4th, after their pennant season of '74. They believed Scarce could be the bullpen workhorse pitcher they felt they needed. The Mets knew catcher Jerry Grote was starting to age & saw a young outstanding catcher in John Stearns in the Phillies organization. The Mets saw a cyst in Tug McGraw's arm & they felt his career was near over as well. All that said, they made a trade that would begin a string over the next few years, that would kill the organization. McGraw, along with Don Hahn & Dave Schneck were dealt to Philadelphia for Scarce, John Stearns & Del Unser. Mac Scarce would pitch just one game, one inning one batter for the Mets. On April 11th, 1975 Scarce came in to a 3-3 game , in the bottom of the 9th inning at Three Rivers Stadium in Pittsburgh. The Pirates & future Met; Richie Hebner came in & drove a single to left field scoring the winning run. The Mets had entered the inning up 3-0. The next week, Scarce was traded to the Cincinnati Reds for Tom Hall. He would spend that year & the next two in the minors, before getting back to the big leagues. In 1978 he went 1-1 with a 3.94 ERA in 17 games for the Minnesota Twins. It was his final year of pitching, in a five year career he was 6-19 with 21 saves & a 3.69 ERA in 159 games.